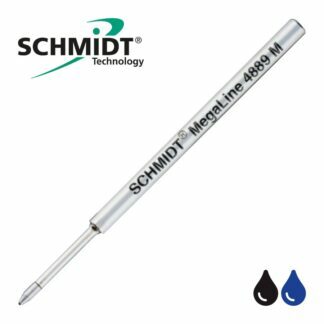 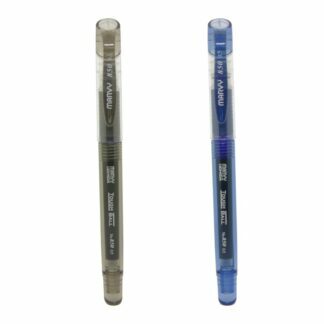 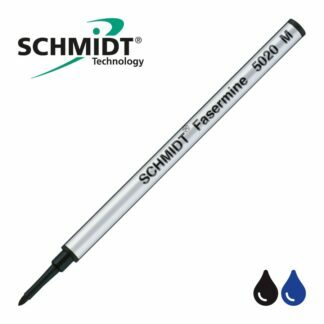 The SCHMIDT ® P8120 is a short ceramic broad capless rollerball refill that is part of SCHMIDT® Innovative Capless System. It has a metal tube and front section, a stainless tip and 1.0mm ceramic ball. A broad 1.0mm ceramic ball and Stainless Steel tip, for strength, longevity and consistency in performance. Please note: These Schmidt P8120 refills are not the same size as the S8120 or mini 8126 that are also part of the SCHMIDT® Innovative Capless System.